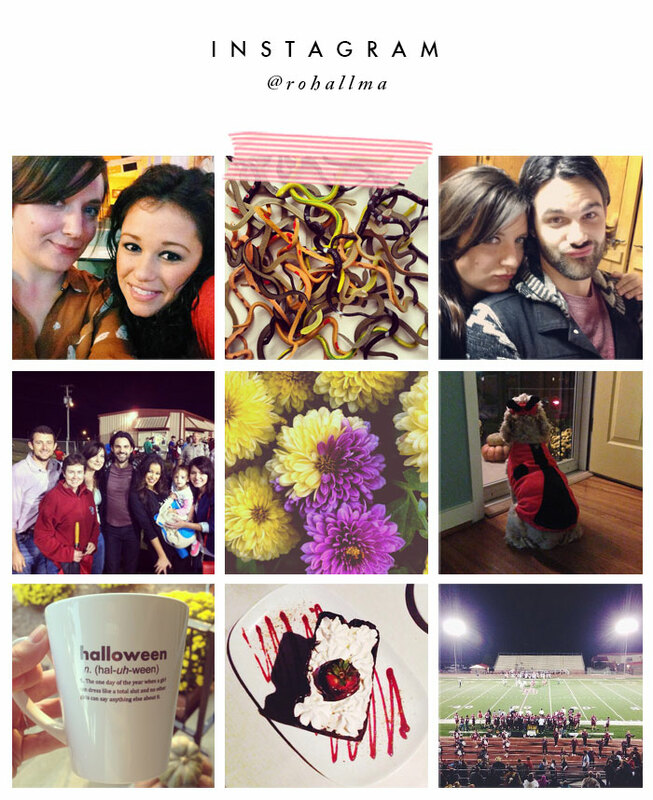 This October Instagram round up was supposed to go up Friday, but I spent the whole stinking afternoon sitting at the car dealership waiting to get my oil changed. Twas lame. So please forgive that it’s a few days late and focus on the fact that it’s already November 4th!!!! Last month, I had my ten year high school reunion (!!!). I teamed up with my besties, Alex and Cody, seen above, and we went to a Beebe Badger football game, shared a chocolate sack at SO, and generally partied like it was 2003. What else? My other bestie, Lyddy (WHO GETS MARRIED THIS WEEKEND), knows me too well and mailed me a mug with a Halloween quote from Mean Girls. It’s like all my favorite things combined into one super thing. My mums are still out of control and I even found a mutant mum that’s half yellow, half purple. And of course, Lula played trick-or-treater greeter on Halloween night in full-on ladybug costume.